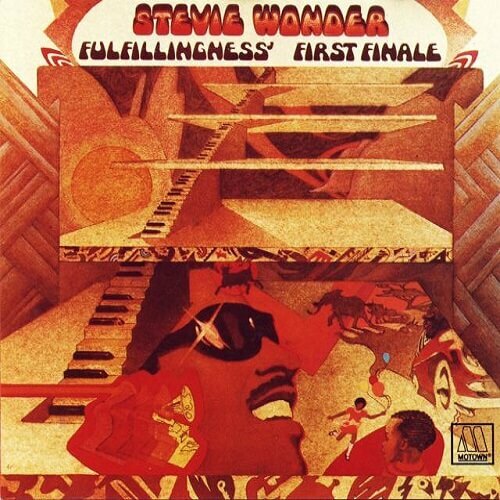 "They Won't Go When I Go" was composed by Stevie Wonder and Yvonne Wright for the album "Fulfillingness First Finale" from the year 1974. The song -with a tone similar to a funeral march- has a clear allusion to the 1850 German chorale tune "O mein Jesu", the scene of the protestant hymn of Thomas Kelly of 1805 "Stricken, smitten, and afflicted". Considered a composition "retro" by the sound of the piano compared to classics like Chopin or Beethoven, many consider the song as a sad reflection of the car accident that Stevie had a year before and that was about to lose his life. The harmonic progression is very similar to Chopin's Etude Opus 10 number 4, measures 5 and 6, although at a much slower pace.